Pumpkins are available in all shapes, colors, and sizes, from the miniature to the gigantic sweet sugar pumpkin, which can weigh in at as much as 100 pounds. The pumpkin is a member of the gourd family, which also includes muskmelon, watermelon, and squash. Its orange flesh has a mild, sweet flavor which is used in side dishes and in many desserts. With so many varieties and uses, it's no wonder that people love to eat food with pumpkin as a star ingredient. 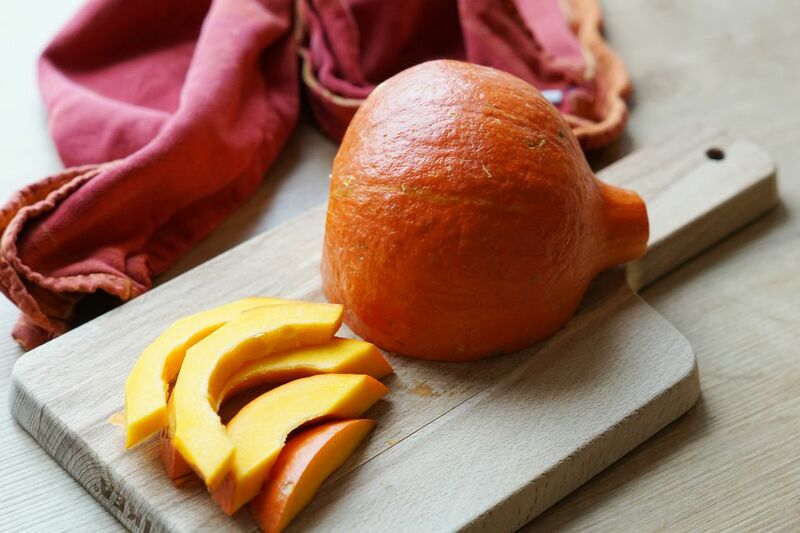 Use these tips for successfully cooking with pumpkin. Fall and winter are the harvesting seasons for this tasty fruit of a trailing vine, another good reason why pumpkin is a popular vegetable for Halloween and Thanksgiving. Choose smaller pumpkins for eating. Sugar pumpkins are usually labeled by the market for cooking purposes as opposed to those used for decorating or Jack-o'-lanterns. Pumpkin seeds, known as pepitas, are often roasted and eaten as snacks. Another by-product, pumpkin seed oil, is normally mixed with other oils for cooking, salad dressings and other uses due to its strong flavor and color. Shelled pumpkin seeds can be used as a less expensive alternative to pine nuts in recipes.